Windows 8 is one of the latest operating system to have hit the market and nearly everyone has jumped onto its bandwagon. This new operating system is different from what most Windows user’s experience. This is why the following are ten things you should know when you are switching to the new Windows platform. The disappearance of the “start” button: The start button has disappeared and so if you are used to using it during your navigation you will not find it on the Windows 8 platform. All the applications and options are stored in the Charms Bar. Windows 8 sports a tile based platform. Using the windows key will being up a full screen version of these live tiles instead of the start menu. All you need to do is swipe and tap for navigation to programs and apps. You have the choice of adding and deleting the tiles you have for customization. 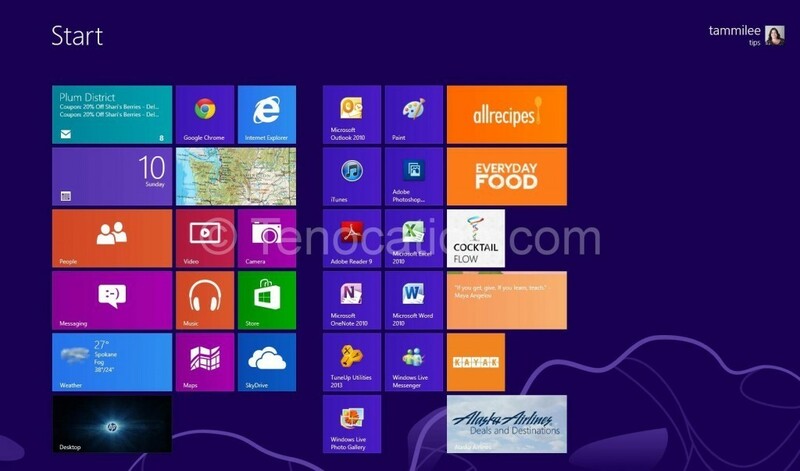 New Charms Bar Is Your Toolbar: The Charms Bar is the new Toolbar of Microsoft Windows 8. This toolbar can be displayed on the right side of the main screen or it can be pulled up when you place the cursor in the upper or the lower right hand corner of desktops and notebooks. This toolbar also gives you shortcuts to various applications and programs. Dig Deep for Basic Programs– If you would like to access basic programs like notepad you need to dig deep into the operating system. If you are used to the easy access on the previous Microsoft platforms you need to spend a little more time here. The easiest method is search in the Charms Bar by simply typing in what toy need like “notepad” “paint” etc. Touch Sensitive OS– If you have a touchscreen device Windows 8 is the ideal OS you should use. This OS has a number of commands that are based on movement. If you are using an old laptop or any unresponsive device you will not be able to get the real experience of Windows 8. Setting Up A Microsoft Account: If you wish to have a display of the videos, music and photos etc. you have bought from the Apps Store you must sign up for a Microsoft Account. Look for Navigation Shortcuts on Both Sides of the OS: If you are looking for shortcuts to applications and programs you will find them on both sides of the OS. There are some applications like Xbox Music whose shortcuts are found on the UI side of Windows 8 and they can be opened from here. Skype Use: User is automatically using Skype with your Outlook and Hotmail accounts. This is the only Skype account you can use. If you wish to use a Skype account with a different email user, you need to contact customer service as it is not possible to do this correctly on this platform. Minimum Resolution For UI Windows 8 Apps: If you are downloading Apps on the Metro side of Windows 8 there is a minimum resolution of 1024×768 for it to run. If you are buying a device with Windows 8 loaded you will not find any issue with it at all. Be Prepared for Minor Bugs: The problems with Windows 8 is that there are minor bugs that disrupt some programs. They are not threatening but since Windows 8 is a new you need to wait for updates for these bugs to be resolved. Get Ready to Learn: Windows 8 is much different from the previous versions and so if you have it loaded on your device please get ready to learn. There are a host of new features and apps that you will be amazed to learn about provided you have the patience to do so.